SmartCapture is the professional, easy to use screen capture tool for Windows! The clear and intuitive user interface and powerful features make it the ideal utility for everyone who wants to capture any contents of the Windows desktop. It can capture rectangular screen areas, whole objects, windows or screens and it can acquire images from Twain compatible data sources (e.g. scanners, digital cameras, etc.) The captured images can be cropped very easily and the color depth can be changed to any desired value from monochrome to true color. Images can be printed, saved, copied to the clipboard, sent to an email recipient, MS Word or any image editor, etc. SmartCapture supports all major file formats, image manipulations (e.g. resize, flip, rotate, color replace, invert, optimized color palettes, dither, etc. ), multiple monitors, full automation, capture wizards, capture profiles, multi-level undo and much more. Many options allow the customization of all actions to individual user needs. SmartCapture is not only one of the most powerful screen capture utilities available – it was also designed to be the most user-friendly tool of all! PC Video Converter Studio is designed for converting video files between AVI, DivX, XviD, MPEG1, MPEG2, VCD, SVCD, DVD, WMV, ASF, MOV, RM, RMVB, 3GP, 3G2, FLV, MKV, iPod, iPhone, Zune, PSP, Mobile, Pocket PC, Zen, Flash video, M4V, and MP4 formats. You get a lot of control over the files you're converting, including the ability to change screen resolution, audio format, and frame rate. The program can easily perform batch conversions among the most popular codecs via drag-and-drop transfers into the main window. 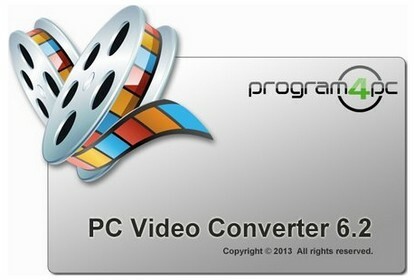 Batch procedure has been implemented in PC Video Converter Studio to automatically perform operation on a large number of files. You can also automatically convert several different types of videos in just few minutes. You can extract all video's audio from your favorite video clips, TV programs, music shows and save them to popular audio formats as WAV, MP3, and WMA without quality loss. Take picture of your favorite moments of video which may be nice for keeping as an image, saves your picture into variety of image file formats as BMP, JPEG, GIF and many other image formats. With PC Video Converter Studio, you can create slide shows of your favorite images with your desire background music and share them with friends and family, or display them on your Web site. The Internet is another medium where you can share your movies but at reasonable file sizes, viewers can download your movies from the Internet. After you have created a movie that is suitable for posting to the Internet, PC Video Converter Studio can assist with the task of coding the HTML document. Make your video suitable by changing video width and height, frame rate, and bit rate. Your picture, company logo or slogan as an image can be placed every where on video. 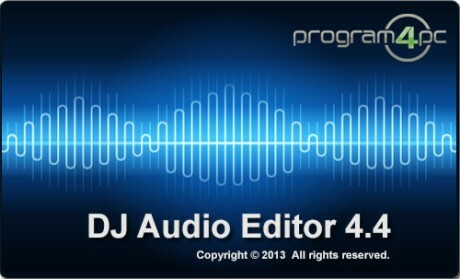 DJ Audio Editor is easy-to-use and well-organized audio application which allows you to perform various operations with audio data. You can create and edit audio files professionally, by having ability to apply dozens of amazing effects to audio files such as Amplify, Flanger, Chorus, Reverb, Invert and Reverse. The widely covered output and input audio formats and a set of amazing filters allow you to add endless innovation to music creating and design, and also displaying a waveform or spectral image of audio file makes your work faster. • Open, create, edit and save audio files. • Display a waveform or spectral window of an audio file and apply zooming. • Play an audio file or any part of it. 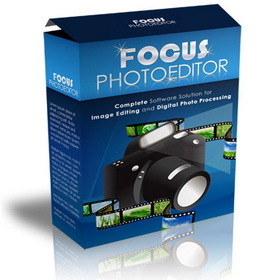 • Visually edit an audio file (Cut, Copy, Paste, Paste From File, Paste Mix, Paste Mix from File). • Apply dozens of effects and filters such as Amplify, Flanger, Chorus, Reverb, Invert and Reverse. • Use marker to locate the selected part or special part of the audio data. • Keep history events and allows you to Undo/Redo. The bottom line is that you need the best possible tool, which produces the best possible results at the best possible price. 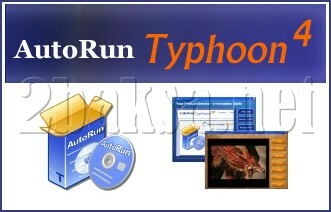 AutoRun Typhoon delivers on all accounts. Not only do you have the most powerful presentation tool on the market, but AutoRun Typhoon's drag-and-drop interface makes it easy to produce amazing presentations in no time at all. There is simply no easier way to enhance your CD/DVDs. Easy Yahoo Maps Downloader is a tool that can automatically download the Yahoo Maps(http://maps.yahoo.com/) images to your PC. 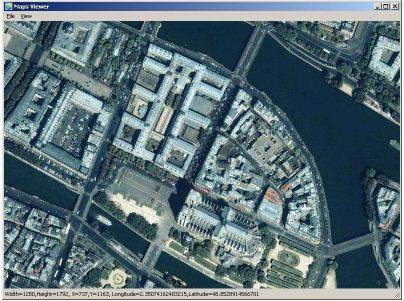 It can download the small tiles and save them to your hard disk, including the normal maps and satellite maps. After downloading, you can view the maps offline by its tool Maps Viewer, or you can combine the small images into one big map image. If you want to make a map of your city by yourself, it is very useful for you. ArchiTECH.PC offers a broad-spectrum software solution for floor plan and 3D designing, modelling, and displaying of architectural projects. ArchiTECH.PC is one of the rare, independent design applications that includes all aspects of architectural design and display, concentrated into a single program. It is simple to use, as it builds on the work methods architects are familiar with, so that they can easily find expression for their knowledge and experience. Because it is easy to understand, no special computer knowledge is needed in order to use ArchiTECH.PC. In this program, the model to be built can be accessed through what are called views. The views are display and/or editing windows. 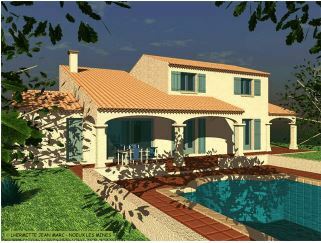 A view can be a floor plan editing, section, detail plan, perspective or photorealistic 3D image, or plan sheet, which is comprised of several plans to be printed on a single sheet. Several kinds of displays of individual floors of a model can be requested: structural engineer plan, bricklayer plan, electrical plan… Display by trade branch can be placed on the plan sheet independent of one another or in unified form. The program handles modifications to the projects in an integrated manner, thanks to the built-in database. This ensures that all the modifications made to one view are automatically applied to the other views, as well (detail plans, sections, elevations, display plans, list generating, plan sheet…). "A picture is worth a thousand words", especially for those who are not experts. With ArchiTECH.PC, it is possible to show the building in several ways, in an instant : section, elevation, axonometric, and perspective views…and what’s more, all of these can be displayed in several ways (wire frame, hidden line depiction…). The project’s understandability can be further increased with photorealistic pictures or 3D animations.